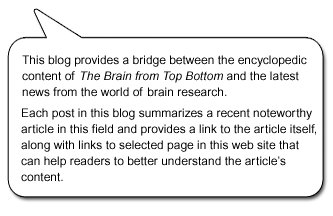 The Brain from Top to Bottom Blog – Intermediate Level » Two Systems of Thought in a Single Brain? The idea that the human mind uses more than one kind of reasoning mechanism is very old. In fact, this notion has always been part of our attempts to understand the architecture of the mind. The dual-process theories that are current today follow this long tradition. Simply put, these theories hold that two major types of cognitive processes coexist in the human brain: one that is fast, automatic, and unconscious, and another that is slower, more flexible, and requires conscious control. The historical perspective proposed by Frankish and Evans in the first article to which a link is provided below shows how the idea of a partitioned human mind has evolved over the centuries. Plato saw the soul as divided into three parts: reason, spirit, and appetite. Leibniz wrote of unconscious petites perceptions that influence our conscious experience. In recent decades, psychologists have studied what they call implicit learning. Thus we see that ever since Classical Greek times, authors have been wondering whether our conscious thoughts may represent only the tip of the iceberg when it comes to our cognitive processes. Today, the terms “System 1” and “System 2”, coined by Stanovich in 1999, are used to denote the two major thinking systems that are believed to cohabit the human brain. There is a consensus now that System 1 has older evolutionary origins, and that we share it with other animals. This system deals with implicit knowledge, performs rapid, automatic, parallel processing, and can intuitively handle a large number of pieces of information in context. It also seems to better withstand the ravages of certain neurodegenerative diseases, such as Alzheimer’s. System 2 has the opposite characteristics. It appeared more recently in the course of human evolution, and it deals with conscious, explicit knowledge. However, it processes information sequentially, so it is slower and can handle less information at a time. But it is also more flexible and can abstract pieces of information from their context. These last two characteristics provide a definite advantage when it comes to predicting the future and adapting to new experiences. System 2 is the one behind the small inner voice that we identify with our sense of free will. But System 2 is also constantly in secret negotiations with the unconscious processes of System 1, which many authors consider the dominant system by default. This dual conception of the human mind thus raises many issues, including legal ones, since our laws are based on the idea of unitary individuals who are consciously responsible for their actions.